Reminder: Send us your FOIA appeals! Despite a solid track record of effectiveness, it can be daunting to write an appeal without knowing the proper language to do so. If you’ve been on our site, you might have seen our exemption database, which lists federal and state-by-state exemptions. In addition to exemptions, our database details sample appeal language and formal and informal reasons for denial. Our goal is to populate this tool and help other requesters navigate the appeals process. So, we need your help! By sharing your winning appeals with us, we’ll be able to populate our database with successful appeal language and exemptions used by states across the nation. 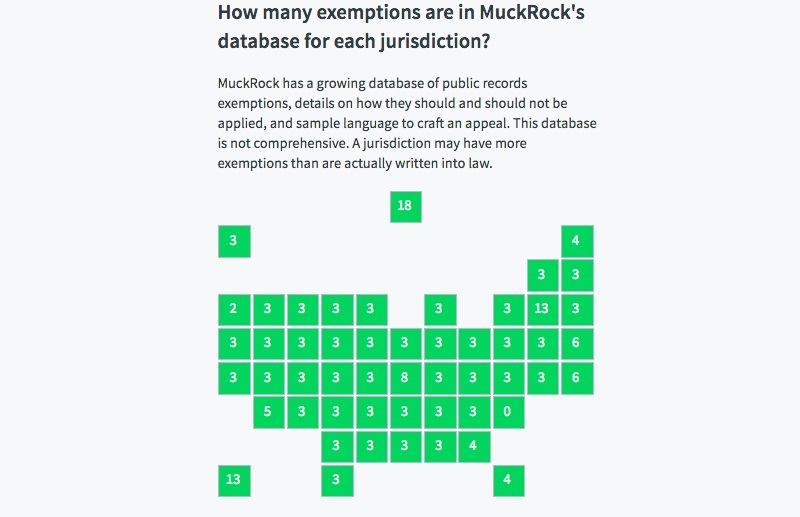 In addition, our database will contribute to our existing appeal tool, which helps requesters write their own appeal letters via MuckRock. If you’d like to help us on our mission, fill out the form below and provide as much detail as possible. Including the citations and statutes used will help build a stronger case for future appeal letters. If we use your appeal language, we’ll credit you in our database!